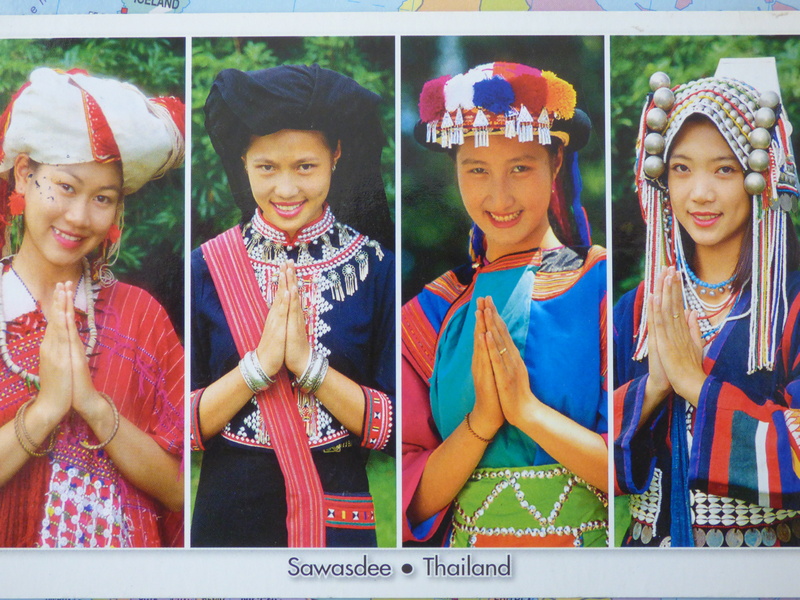 Thank you very much to Simone for sending this beautiful postcard from Thailand. Sawasdee is Thai for Hello. Geography Cat agrees, but only up to a point. He thinks there are some traditional customs that would be better left in the past; those that infringe upon individuals’ human rights. Women and girls have been especially vulnerable to subjugation through “traditional practices” across the globe and over time. Take a look at this excellent article by Shobha Rana Grover for some examples. However, that doesn’t mean we should forget, nor that we shouldn’t preserve those ancient customs that differentiate our varied cultures, but what do you think?